Beautiful 1 Story open concept home in the Highly Desired Las Brisas Community 6 miles East of I35. Home is NOT IN FLOOD PLAIN and has never flooded. Fresh exterior paint. Beautiful Gold Leaf accents, Large level back yard with playscape, detached 3 car garage. Back yard has a lovely fire pit as well as a large 16 x 30 concrete pad poured awaiting to make your own. Build a gazebo, outdoor kitchen, works hop, she-shed, or pool house. There's plenty of room to build a pool too! Enjoy Lake McQueeney access as well the lovely waterfront park, fishing, paddle-boarding, kayaking, boating and more! Most of the park is a private island that has park benches, tables, and a gravel beach entry into the lake. There is also a private boat ramp, guest slips, and marina with slips available for rent. Navarro ISD! &#xD;&#xA;Sellers Would like to offer furniture for sale if prospective buyer is interested. Courtesy of EXP Realty LLC..
Beautiful 1 Story open concept home in the Highly Desired Las Brisas Community 6 miles East of I35. Home is NOT IN FLOOD PLAIN and has never flooded. Fresh exterior paint. Beautiful Gold Leaf accents, Large level back yard with playscape, detached 3 car garage. Back yard has a lovely fire pit as well as a large 16 x 30 concrete pad poured awaiting to make your own. Build a gazebo, outdoor kitchen, works hop, she-shed, or pool house. There’s plenty of room to build a pool too! Enjoy Lake McQueeney access as well the lovely waterfront park, fishing, paddle-boarding, kayaking, boating and more! Most of the park is a private island that has park benches, tables, and a gravel beach entry into the lake. There is also a private boat ramp, guest slips, and marina with slips available for rent. Navarro ISD! Sellers Would like to offer furniture for sale if prospective buyer is interested. Please, send me more information on this property: MLS# 367288 – $330,000 – 170 Las Brisas, Seguin, TX 78155. 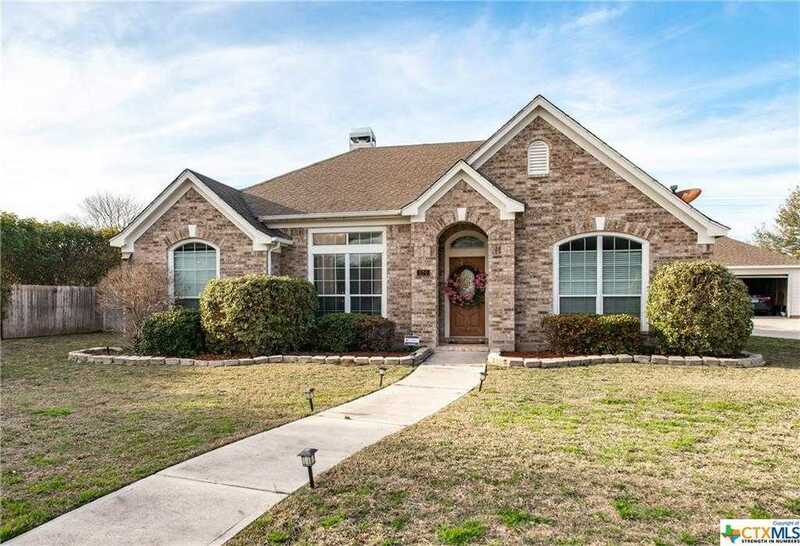 I would like to schedule a showing appointment for this property: MLS# 367288 – $330,000 – 170 Las Brisas, Seguin, TX 78155.